Shred on all your favorite trails then chill with your friends afterward without the urgency to slip into something more comfortable immediately after riding. 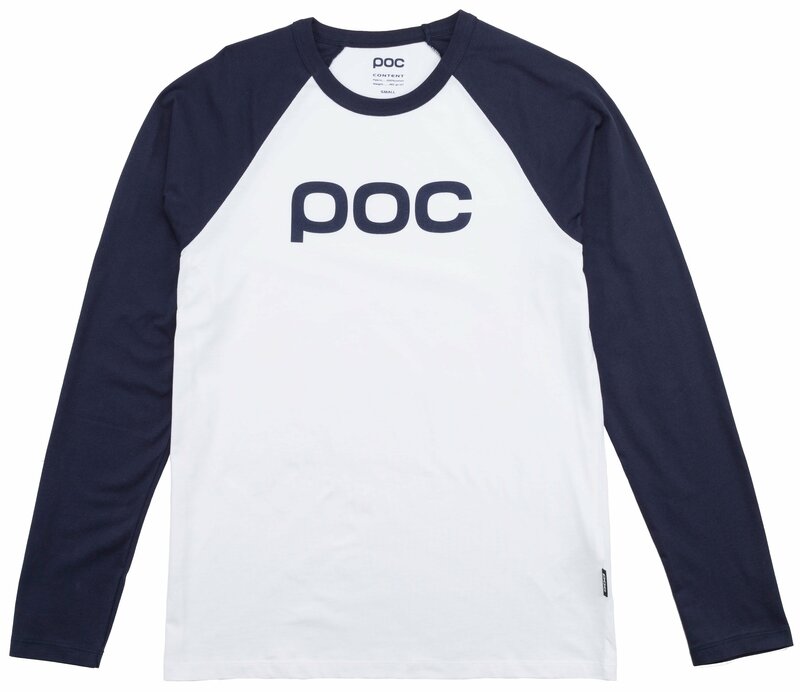 The POC Raglan Jersey is composed of 100% cotton and features a relaxed fit for a more comfortable fit. The sleeves fit loose to give you more flexibility and allow you to wear elbow pads to make your ride safer. The loose fit also works well for casual outings. 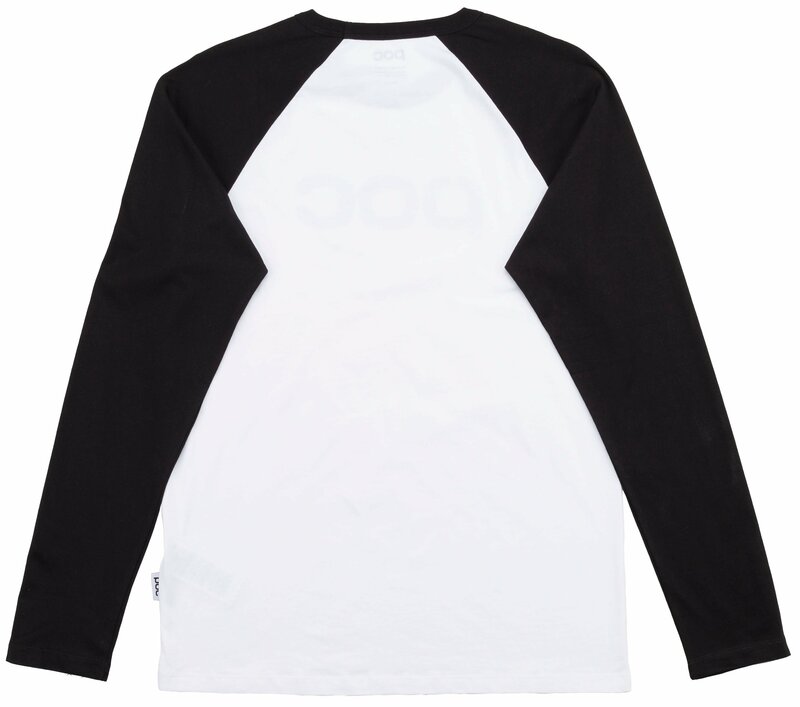 Because of this POC Raglan jersey , my life has completely changed. From a very young age, I have known nothing more than ridicule, contempt and loneliness. However, since I've dawned this shirt, I've not only instantly become a pro mountain bike rider but I've lost a whopping 20 lbs and have become considerably better looking. Recently, I find myself being constantly bombarded by beautiful women's advancements and asked to model for various outdoor companies. Although, at first, the recent life style change had been refreshing, exciting and fun, it has soon become a burden. Daily tasks such as grocery shopping and gassing up my free Lambo have become impossible. So unless you crave fame, fortune and a life of ecstasy, do NOT buy this shirt...or do so with caution. The fit is perfect. The 100% cotton breaths well and is perfect for a crisp morning ride. The issue I ran into had to deal with mud staining the white cotton. I ride stained now, but heck its MTB'ing right? 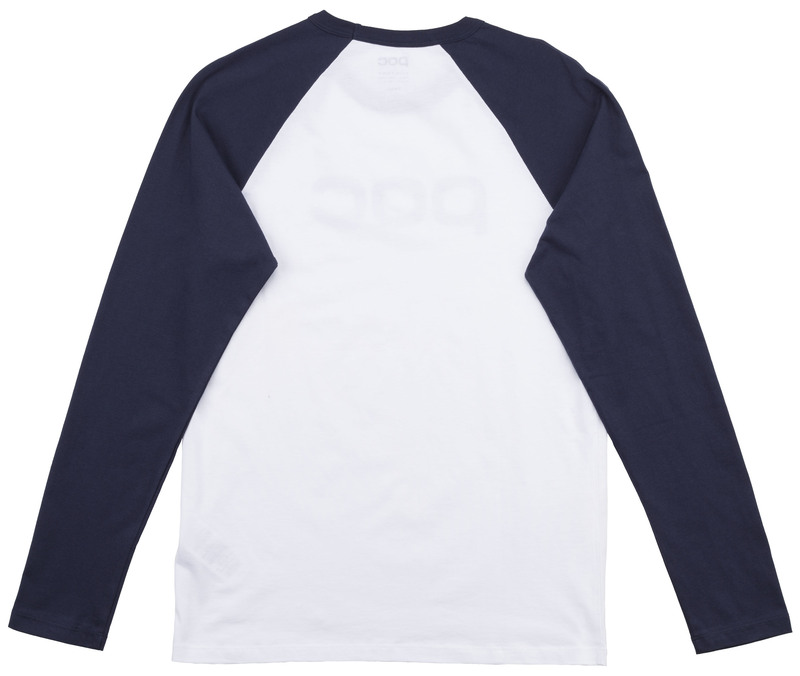 Good tee, is fresh, light and cool. The perfect way to look like a pro, i love it. Recommended.